The top two competitive baseball camps in the country, as well as the Baseball Hall of Fame, and related attractions are located just minutes from us. 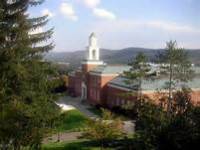 Hartwick College and the State University of New York at Oneonta are located just a couple of miles from Abner's Retreat - convenient for visiting or touring. It's apparent from the name that Abner's Retreat has baseball fans close to heart. Located ten minutes from the All-Star Village Baseball Camp, twenty from Cooperstown Dreams Park Baseball Camp and thirty from the baseball mecca - the National Baseball Hall of Fame in Cooperstown, Abner's is convenient to all the best that baseball has to offer. Don't miss a trip to Doubleday field - also named for Abner Doubleday, the Heroes of Baseball Wax Museum and the Cooperstown Bat Company while in the area. Our own local PGCBL Team, the Oneonta Outlaws, play at Damaschke Field in Neahwa Park on most summer nights. 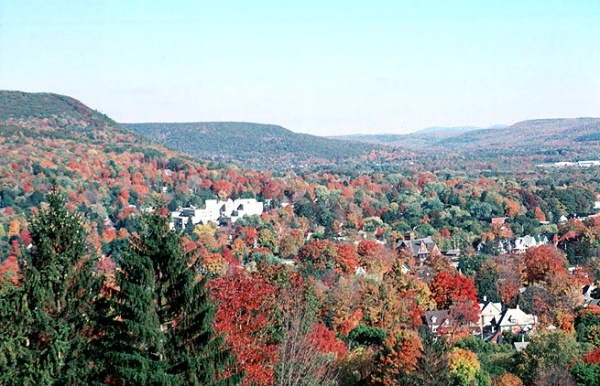 A variety of outdoor activities awaits in the Central Leatherstocking Region of upstate New York. There are several outstanding golf courses in the area, as well as canoeing, kayaking, hiking and swimming activities. Miniature golf, go karts, batting cages and bumper boats are another option nearby. Gilbert Lake and Glimmerglass State Parks are close by as well, and two local City of Oneonta Parks. Rollerskating, laser tag, jungle gym, arcade games and a cinema are within 3 miles of the front door of Abner's Retreat. There is an old-fashioned drive in movie theatre just 10 miles away, which is an experience not to be missed if you haven't gone before. In addition to the Baseball Hall of Fame, the Farmer's Museum, Fenimore House Art Museum and Howe's Caverns offer excellent entertainment, rain or shine. Upstate is a hub for both wineries and microbreweries. Several world-class examples lie just minutes from Abner's Retreat. In addition, a wonderful selection of dining options - from fast food to pub grub, barbecue and gourmet cuisine - there is something for everyone, served indoors and out. And don't forget dessert - ice cream is not in short supply either! Oh, and don't forget to put the Fly Creek Cider Mill on your list - apples, fresh-pressed cider, homemade hard ciders and wines, unique gift items and fabulous eats!